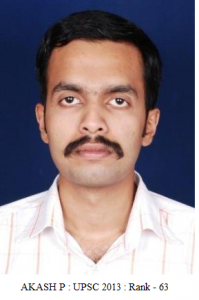 If you missed the first two parts of the UPSC Topper’s Interview, you can read them from the hyperlinks : UPSC Topper Akash P’s (CSE 2013 Rank 63) Interview – Part 1 and UPSC Topper Akash P’s (CSE 2013 Rank 63) Interview – Part 2. Having already shared the background, approach, preparations strategies, books referred and UPSC interview transcript, Akash shares his detailed mark-list and moments of success in the last part. Enjoy! I had got the Indian Forest Service. Otherwise I would have appeared for bank tests and SSC. PS : Please also indicate the approximate number of attempts in each General studies paper and optional paper. For how many marks did you attempt in each paper? I attempted all the questions and when I was not confident I wrote low quality filler answer. That strategy clearly backfired as evidenced by my abysmal performance in GS. So, I think it is better to answer only those questions that one is sure of and present them systematically and in an organized fashion. ClearIAS.com: What do you think as the main reason for your success? Whom do you credit for your success (any special help from friends, teachers, family, coaching institutes or other sources)? Main reason was my own personal desire and timely action on my part. But of course nothing would have been possible without the unflinching support of my parents. Friends have always supported and motivated me. ClearIAS.com: What preference in services have you opted for? Any particular reason for that priority? I gave IAS as my first preference due to its diversity and standing in society. Gave both the IRS next as I planned to repeat for IAS in case not making it in first attempt. 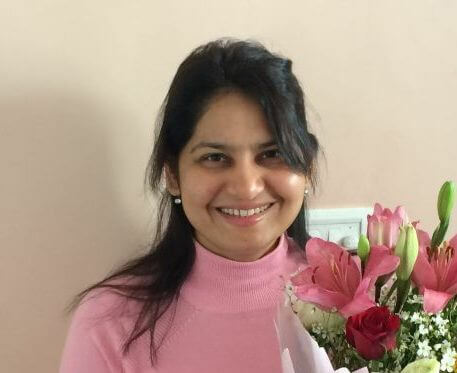 ClearIAS.com: Did your life change after success/attempt in UPSC Civil Services Exam? If yes, how? Not much. Results just give us a place. Real change happens only when one starts working in the field. But surely the success is a confidence booster. 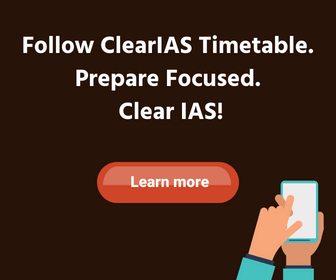 ClearIAS.com: Does the educational or financial status of the family of the aspirant have any impact on the UPSC preparation and result? It may. But in this internet age with free flow and hence democratization of information such factors are now playing a lesser role than it used to be. ClearIAS.com: What is your advice to the freshers who are going to appear in this exam? Who am I to advice! Do your level best. Gather all necessary information. Seek guidance from veterans. Use internet whenever necessary. All the best. ClearIAS.com: What is your advice to the candidates who have failed in this exam? It is known that hard work or raw talent by themselves may not be enough for one to succeed. Sometimes sheer luck may also play a major role. I have seen many of my friends, wholly deserving gentlemen, unable to be in the list because of the whimsical tyranny of some UPSC board members who awarded low marks in the interview. The same thing happens in Mains in Essay paper which is no less arbitrary. And many have in fact gotten into IAS after having failed in their first few attempts. Life is the mother of all exams and not CSE. ClearIAS.com: We like to express our heartiest congratulations once again on this occasion of grand success. We sincerely thank you, on behalf our readers and ourselves, for the spirit and benevolence to find time to write answers for our detailed questionnaire. Wishing you, all the very best in career and life.